Ah…the Great Outdoors. Most of us have fond childhood memories of camping with the family, the scouts, church camps, friends, etc… And almost without fail, we had some kind of knife with us, maybe a Scout Knife, or the peculiar Swiss Army Knife. In my childhood days I was seldom encountered without my Opinel. Camping without a knife is like Oreos without milk… difficult, if not impossible to endure. But in the modern world, what makes a good camping knife? There are hundreds of camping knives out there, so how is one to know what would be the best for them? First off, we must establish what camping is, and is not. There are countless ads for Bushcraft knives that are aimed at all the Rambo-wannabees…, ridiculously large, with military styling, and sporting dubious features like a saw-backed blade, hollow handles to store fishing line, matches, fire steels, etc…. They may claim to be able to fell a California Redwood, and field dress a Triceratops, all without re-sharpening. True, or not, these are not features you need for a camping knife. The vast majority of us are not going to be camping in areas that are so remote they are even inaccessible to Emergency Services personnel. Even if we hike in, we are talking a weekend or so, and there are Forest Service Roads in all National Forests so Law Enforcement and other Emergency vehicles can get in and out. The, “Remoteness” is an illusion. Rest-assured, if anything happens to you, people will be able to get to you and get you to a hospital. I know this for a fact because I am one of the people who do this on a regular basis. When we are talking about camping, we mean that you will be driving in somewhere in your car, staying in a designated camping spot. You can carry what you need in your car, and even if hiking, you will be able to carry ample supplies for your few days in the woods. It is not necessary, or even desirable, to be equipped to survive a total collapse of civilization with only your knife. Simple, durable blades are you need. 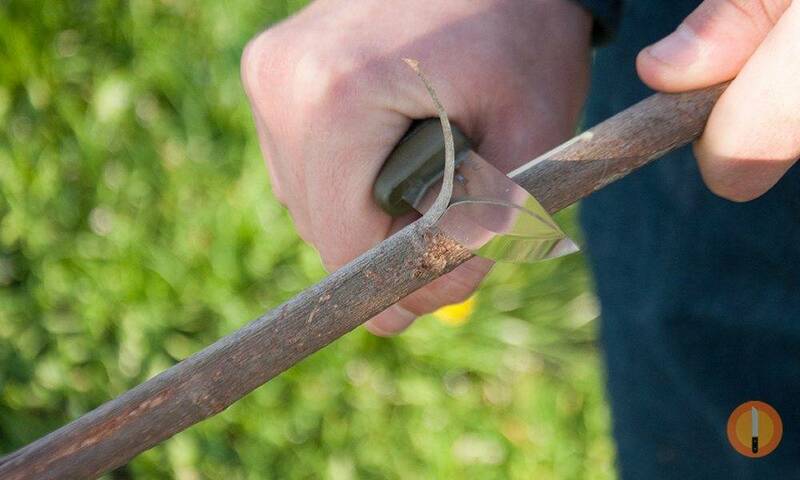 You can carry a hatchet, tomahawk, or saw, so there is no need to try to cut down a tree with your knife. And if there is water around, you can bet my fly rod and a fly box will be within reach, so a hollow handle is not needed. It breaks into 5 pieces and fits easily in a backpack or on a belt. I smoke a pipe, so I always have matches and a Zippo Lighter handy. Matches weigh nothing and can be carried in a pocket, even if they are in a waterproof container. All those extra features on Survival Knives are mostly useless for camping. 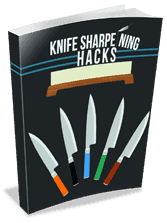 You need a knife to shave a piece of wood for kindling, or cut sticks into smaller pieces and so on. My Mora knife in action. It should be small to medium sized. Large blades are not needed. Light. Anything over 4 oz. will not be comfortable to carry, especially of you plan on doing any hiking or bird/wildlife-watching. A lighter blade lets you carry a bigger camera…. Have more than one. Multiple blades, or carry several knives…your choice. Choose a good steel. 440C, or better stainless steel, or 1095, SK-5, or better high carbon steel. Lesser steels will fail when you really need them. Stainless blades will make your life easier, but high-carbon blades take a better edge. The right scales. Scales need to be G-10, Micarta, Poly, Aluminum, or better. A knife can still be used with broken scales, but it’s not a lot of fun…, however, you can use a multi-tool to make a new set of scales in the woods…I have done it. My Spyderco Tenacious camping knife. Folder. 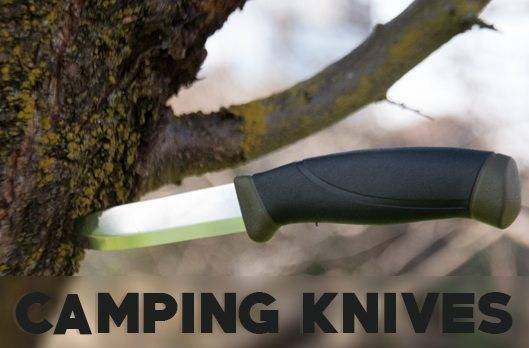 You should actually have more than one knife with you when you’re out camping. 1. I recommend a suitable belt knife for heavier chores, which does not have to have a blade longer than 3 or 4 inches. I am especially fond of Moras for this. I also really like my Cold Steel Canadian Belt, and Finn Bear knives for belt carry. Leave the mini-machetes at home. You have little to fear from most wildlife. Bear attacks are extremely rare. You are unlikely to take on a bear in hand-to-hand combat, and in any case, the bear would still probably win. It has 10 blades, plus a mouth full of teeth, and probably outweighs you significantly…not a good match-up. The best bear-defense is to leave them alone, and avoid them as much as possible. Discretion really is the better part of valor. Besides, it’s their home. You’re just a temporary guest. The same goes for cougars, bobcats, wolves, snakes, etc…. Prevention, Vigilance, and Common-Sense are your best weapons. Besides, large blades are heavy, and get in the way. They are too large for most tasks you will be doing while camping. 2. Next, a smaller drop-point blade is useful for a lot of tasks, and it can be a folder. 3. Also, You should never leave home without a good slip joint knife with multiple blades. like a Case Stockman, Schrade Trapper, or Uncle Henry, or Old Timer Congress, Muskrat, Canoe, etc…. These are invaluable for small to medium tasks and the multiple blades cover most tasks well. It’s not a bad idea for at least one of your folders to be a one-handed opener, because you may have to hold something, like rope, while you get your knife out. It’s also a good idea for one of your folders to have a serrated blade. These cut through rope and fibrous material like hot butter. 4. Lastly, I highly recommend carrying a multi-tool. These are absolutely invaluable for a lot of things you wouldn’t even think of until they happen. I have used mine to remove stickers and thorns from myself and others, repair tents, back-packs, canteen covers, and more. I get a lot of questions about Swiss Army knives, and whether, or not they make good camping knives. As a primary blade, I cannot recommend them. The tools are too fragile to withstand much heavy use. I am also not crazy about the steel they use (440A equivalent…) There are better knives out there. If you do decide to carry one, make sure it is a genuine Wenger or Victorinox knife, because the Chinese copies are really shoddy. My opinel in the wild. Do not ever get a camouflage knife or sheath. You’re not stalking turkeys, or enemy sentries. I would be embarrassed to tell you how many camo knives I have dropped, and was never able to find again… I learned the hard way. I actually prefer my knives to be Hunter Orange, and I usually put a strip of Hunter Orange duct tape on most of my scales and sheaths. Either that, or invest in a good metal detector… I really wish someone would invent a small stick on LED light that would come on if you clap your hands, and also have a loud beeper. It would be great for arrows, too (that’s a whole ‘nother story….I’ve probably lost over $200.00 worth of arrows over the years, shooting my bows and crossbows…). So, that’s what we need for camping. Leave the G.I. Joe blades on the shelf, and concentrate on what is really useful in a campsite. In suggesting knives, I have left out any knives that have unnecessary features like assisted-opening, glass-breaks, wire-cutter sheaths, and other junk. Here are my top picks for the best outdoor knives you can own. You have a fairly wide choice of belt knives, many of which are outstanding. For camping, price is not much of an indicator of what will make a good camping knife. There are some really great belt knives that are very inexpensive. You can, or course, spend several hundred dollars on one, as well. 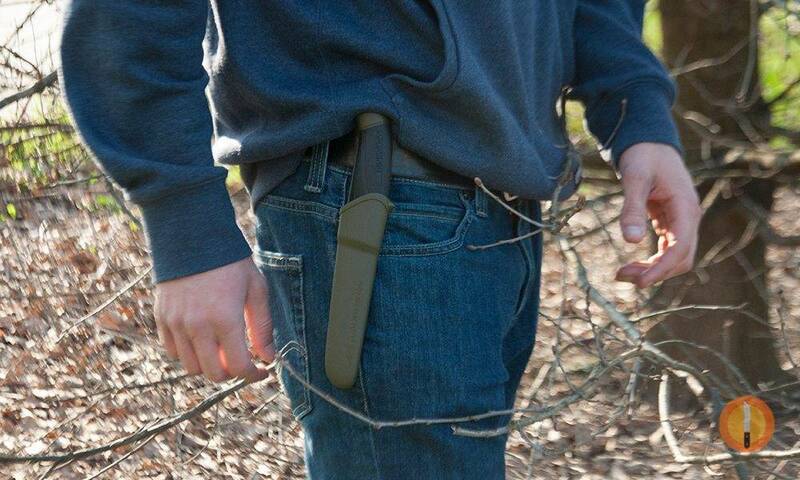 It’s your money, but remember, when you are out camping, knives can get lost and broken. It hurts a lot less to replace a $20.00 Mora than it does a $300.00 Benchmade. My recommendations are not complete, and there are models some of you may like better. Knives are very personal, and that’s a good thing. But these will be a good place for you to start looking for that perfect weekend companion. Here are my reviews. Randall knives are legendary, and the ESSE (Education Survival Escape Evasion) 4 lives up to the reputation. 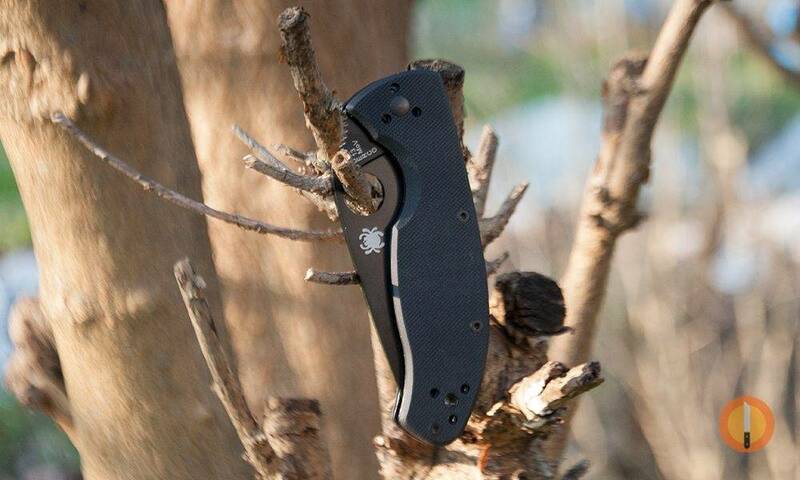 Randall knives has joined forces with Ontario’s RAT series mass production skills to create the new entity, ESSE. So what you are getting is a custom knife design at production knife prices and availability. This is everything you need in an outstanding camping knife, with a 4” 1095 High Carbon steel drop-point blade (also available in 440C stainless), in either a straight blade, or 1/2 serrated, G-10, or Micarta scales, that come in black, khaki, or (wonder of wonders…) Hunter Orange, a great Kydex sheath with multiple mounting options, and a No Questions Asked unconditional lifetime warranty, no matter how many times the knife has been sold, traded, or given away. It’s not cheap, but it is more than worth the cash. It takes a great edge, only weighs 8 oz. and will handle anything you throw at it. From Sweden, this is the same outstanding knife issued to pilots in the Swedish Air Force. It has a great 3.8” drop-point blade of outstanding VG-10 stainless steel, poly scales and a great real leather sheath that completely covers the entire knife, protecting it from whatever…. This Falkniven tough blade cuts wood, strapping, rope, and even through bamboo with equal ease. Again, not cheap, but well worth the money. One of the best all-around sheath outdoor knives I know of. The Canadian Belt Knife features a 4” ultra-useful drop point beavertail blade made of great German 41126 Krupp stainless steel, nearly indestructible poly scales, and a Cor-Ex sheath. At a mere 4 oz. you won’t even know it’s on your belt. I have a couple of these, and I cannot recommend them highly enough. The unique beavertail blade has plenty of belly for skinning and filleting fish, is wide enough to double as a small spatula, and the handle is offset from the blade, allowing you to use the full 4” cutting edge on a cutting board with plenty of clearance for your knuckles, unlike most other outdoor knives. Considering the affordable price, you can’t go wrong with this knife. Along with the Mora, this is, in my opinion, the best outdoor knife. Mora… the name pretty much says it all. Actually, Mora is not a brand, but a type of knife that has been used in Sweden for hundreds of years, and is a rival to Finland’s Puukku. The Companion is a modern interpretation of the classic Mora. It doesn’t look like much, but when it is in your hand, it feels like it is alive. It has a 4” blade made of either 12C27 Stainless steel, or the incredible UHB-20C carbon steel. The scales are grippy poly, and come in black with several colors of trim, including bright colors that may help you to find it when it gets dropped. The Companion comes with a perfect fitting plastic sheath, usually the same color as the trim on the scales. At a mere 4.oz, it can be carried effortlessly all-day. In your hand, it feels like it was custom-made just for you. It is light, quick and very maneuverable for even the most delicate tasks. The stainless blade cuts extremely well, but the carbon blades…nothing on the planet cuts like a Mora carbon blade. They are just unbelievable. And they all sharpen very easily. Usually, just a few swipes on a stone, and they are good as new. The secret is the Scandinavian grind, which creates an ultra-sharp edge. The Companion can be had for cheap just about anywhere, even less if you don’t mind a used one, making them one of the best bargains in the entire knife world. Just in case you didn’t get any of this…If you don’t already have one…get a Mora. You will never regret it. Benchmade is a top producer of world-class blades, and the Griptilian is no exception. With a 3.4” drop-point blade of 154CM super-steel, G-10 s scales, and smooth action, what’s not to like? The ergonomic grip fits the hand perfectly and gives a very secure grip, even when cold or wet. The blade cleanly slices through just about anything it encounters. Weighing in at 3.4 oz. it is light enough carry in a pocket all day with no trouble at all. This Benchmade may not be the most inexpensive knife you’ll ever buy, but it may be one of the best. 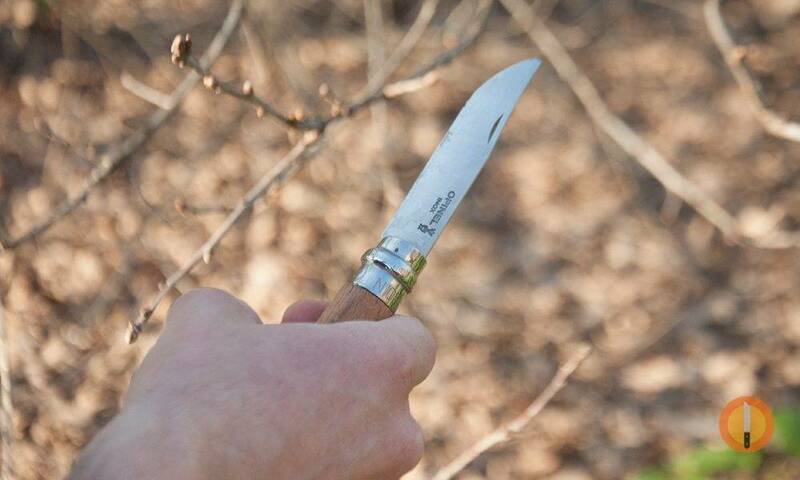 Like its namesake, the Bushman Series, this is probably one of the toughest pocket knives in the world. Cold Steel’s Ram-Safe lock is one of the strongest in the industry (Cold Steel also make the strongest lock…the Tri-Ad), testing at a failing weight of over 300 pounds. 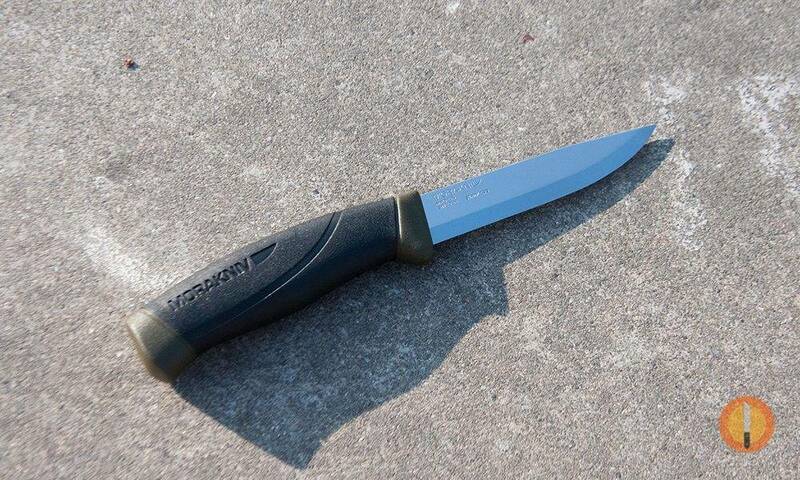 The Pocket Bushman has a 4-1/2” clip-point blade of Carpenter CTS BD1 super-steel that holds an incredible edge. The scales are simply a sheet of stainless steel, folded in half to make a housing for the blade and lock mechanism, and also adding strength to the blade and lock mechanism. Most folding knives are defeated by negative pressure on the lock. The only way the Ram-Safe lock can fail is if the entire blade and handle breaks, or the pivot pin is sheared off, unlikely to ever happen no matter what you do to it. This is the only folding knife I feel confident in to baton with.It’s not too pricey, and may wind up being one of the most reliable knives you will ever own. Spyderco has a very loyal following, and with good reason. They make really good knives. For camping, one of the better models is the Tenacious. It has a 3-1/3” leaf blade with a large thumbhole for one-handed opening. The blade is made from 8cr13mov stainless steel, the Chinese equivalent to AUS 8, which makes a tough blade that will hold a good edge. 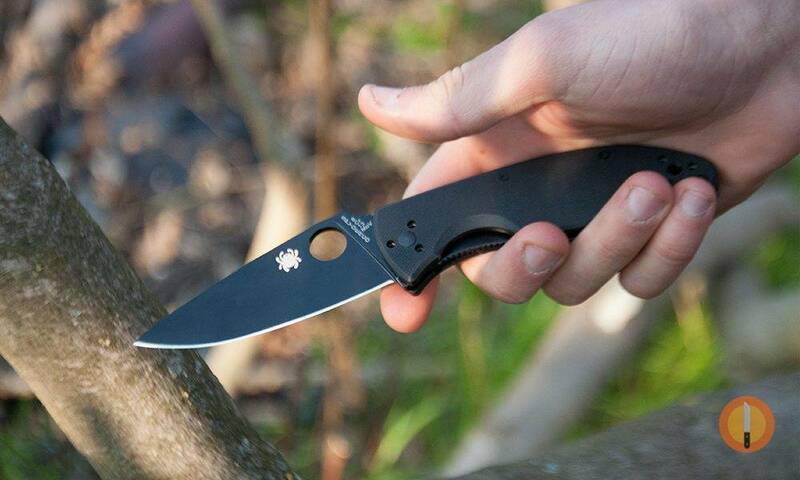 The blade is married to great ergonomic G-10 scales, and the very smooth Walker lock. The Tenacious is handy, smooth, quick, and the leaf blade with jimping on the spine makes easy work out of most chores. The Tenacious represents a great value for a folding camp knife. It’s really hard to beat a classic design. Camillus is one of the oldest knife-makers in the US. They may have changed hands a few times since 1876, but they are still going strong, and their Yello-Jacket series of slip-joint knives are pure American classics. The Congress has 4 blades; a clip point, a spey point, a coping point, and pen blade…enough to handle any small to medium task you might need to do. The blades are made from good AUS 8 stainless steel, and the beautiful classic yellow scales are accented with carbon fiber inserts. If you need to cut some medium rope or para-cord for a clothesline, whittle something from a stick, or maybe just eat an apple or carve your initials in something, the Congress can handle it. Considering the price, you won’t have to take out a mortgage to own one. 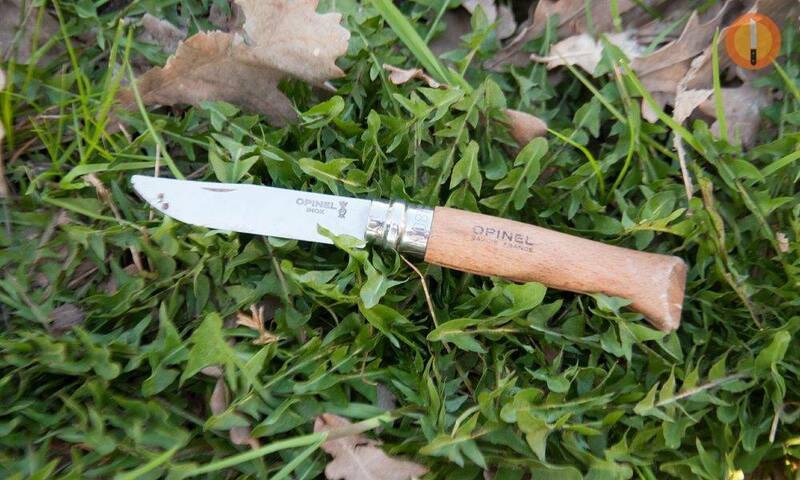 For the money, there is no finer folding knife on the planet than an Opinel. They are one of France’s gifts to the world. Created as an inexpensive Farmer’s knife in the late 19th century, the ultra-efficient design survives unchanged, save for a small addition to the locking collar that allows the blade to be locked closed as well as open. All basic Opinels are the same design, and the number denotes the size. All have a clip-blade (there are some specialty models with different blades available) of XC-90 high-carbon (Carbone), or Sandnvik 12C27M stainless (Inox). Many steels make the claim that they can be honed to razor sharpness, but Opinels are one of the few that actually make good on that claim. They are the sharpest folding knives I know of. The scales are real wood, beechwood, in fact, and feel wonderful. Opinels make any cutting chore a pleasure. Since there are only 3 parts to the whole knife, there is little that can go wrong. The sizes run from 2 to 15. The no 1 and No 11 have been discontinued. In my opinion, the No 8 is the best all-around size for most tasks at 3-1/3”. Anything larger feels a little unweildy for most tasks, and smaller is a bit harder for me to grip, though not significantly so. I have used a N0 8 Carbone to clean fish, dress out small game, slice meat and vegetables, shave wood, whittle, and many other tasks, and it has always performed flawlessly. These are one of the best deals on a folding knife you could ever hope for. 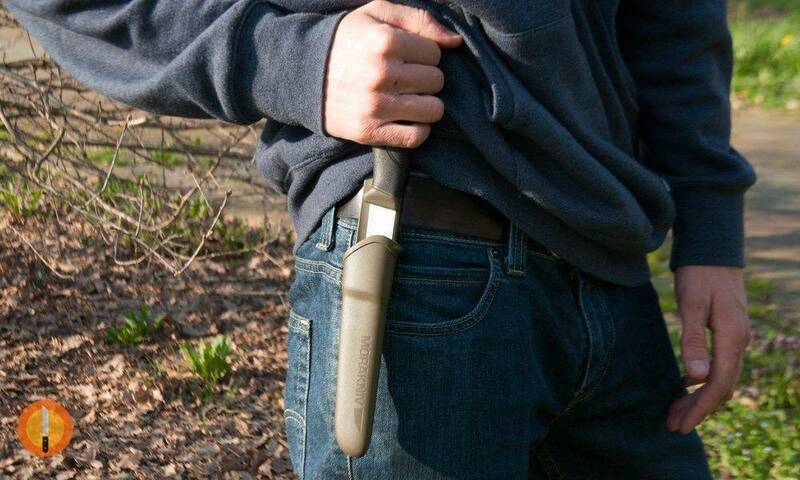 Opinels out-perform knives costing 10 times more. If I could only have one knife, at any price,…this would be it. These are just my opinions, based on my experience. Your opinions may differ, and that’s OK. You can carry what you want. Only you can decide what is best for you. There is no ‘best’ knife that everyone will agree on. But, if you are not sure, maybe these will give you a good starting place in your quest for the right camping knife for you. Searching is a big part of the fun. I like your site and your articles. You have some really good stuff. As an EDC knife nut, Eagle Scout, veteran, and woodsman I’d like to offer some constructive criticism. Your definition of a camping knife is accurate, however your choices are not. As a camping knife is used more aggressively than an EDC blade, all camping knives should be fixed blades, no exceptions. That’s not to say one cannot use a folder while camping, but it shouldn’t be the primary cutting tool. 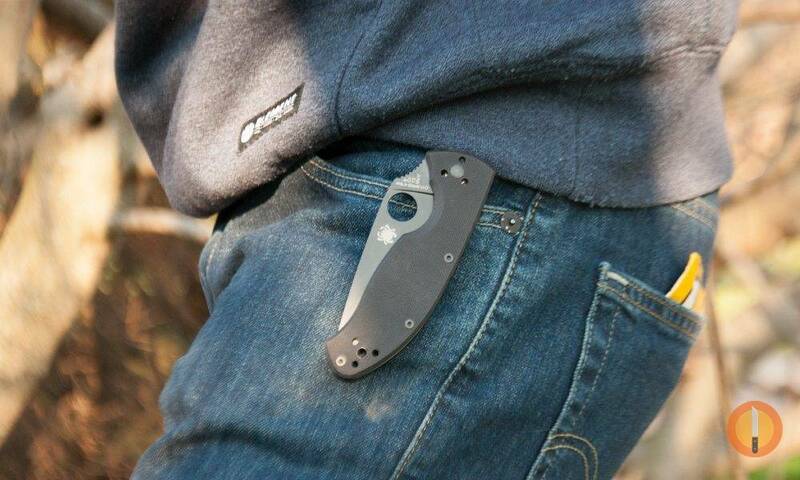 Secondly, the clip of an EDC blade rides outside the pocket, while the knife rides in the pocket. Otherwise you risk losing your knife any time you bump into someone or something. Hi, I really appreciate your comment! For me, carrying more than a knife is crucial. As a first choice, I recommended carrying a fixed blade knife for heavier chores.